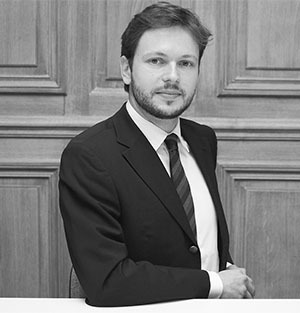 Frédéric BRET-LIMOUSIN advises his clients and handles litigations in the different areas of business/commercial law. Thanks to an extensive knowledge of the (French and international) Art market and of its actors (auctioneers, gallery owners, artists, art collectors...), he also specialises in Art law. Member of the Paris Bar, he graduated from the University of Paris I Panthéon-Sorbonne (Master I of Private Law), from the University of Paris II Panthéon-Assas (Master II of Intellectual Property), and from the Ecole du Louvre (Degree in History of Art and civilizations).